15 A 100V Isolated Half bridge driver project intended to be used for DC-DC converters, inverters, LED driver and motor driver applications. 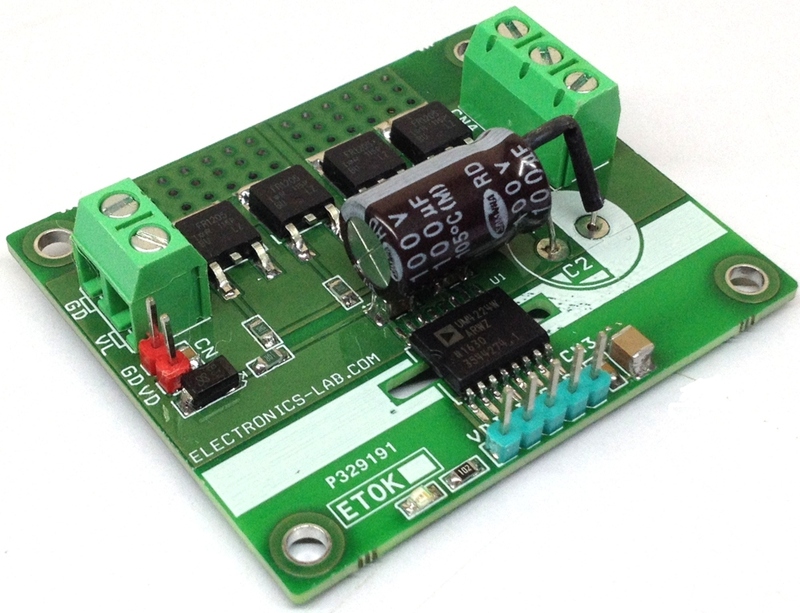 This projects is really helpful in industrial applications where noise is a concern since project provides optical isolation between microcontroller and high current output. 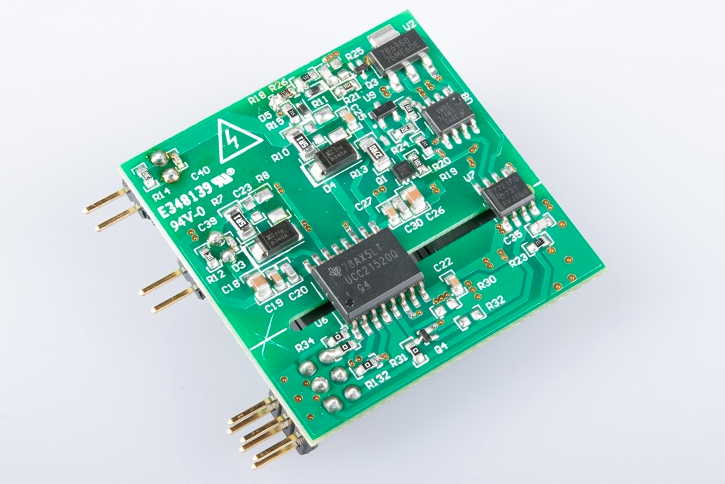 ADuM4224 isolated precision Half-Bridge driver is the heart of the project. 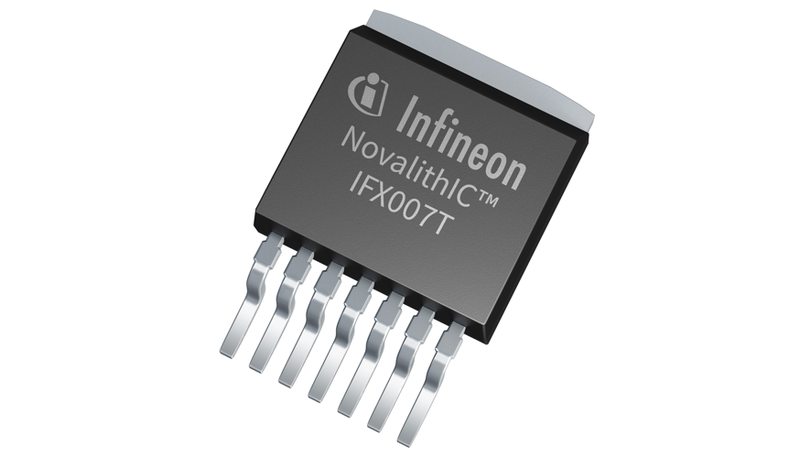 IRFR120 dual Mosfet is used as output driver. 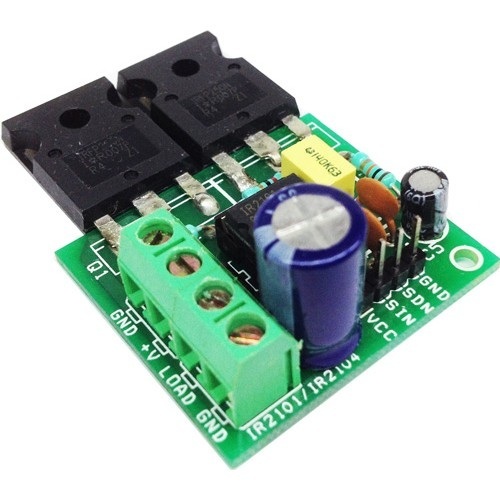 MOSFET can be replaced as per application requirement of voltage and current rating. The ADuM4224 isolators each provide two independent isolated channels. They operate with an input supply voltage ranging from 3.0 V to 5.5 V, providing compatibility with lower voltage systems. In comparison to gate drivers employing high voltage level translation methodologies, the project offers the benefit of true, galvanic isolation between the input and each output. Each output can be continuously operated up to 537 V peak relative to the input, thereby supporting low-side switching to negative voltages. The differential voltage between the high-side and low-side can be as high as 800 V peak. Refer to truth table for operation conditions. The board tested with input frequency of 100 KHz but will support frequency up to 1 MHz. CN3 connector provided for logic signal and supply input, CN1 Output drive supply , CN2 load supply input, CN4 for load connection.